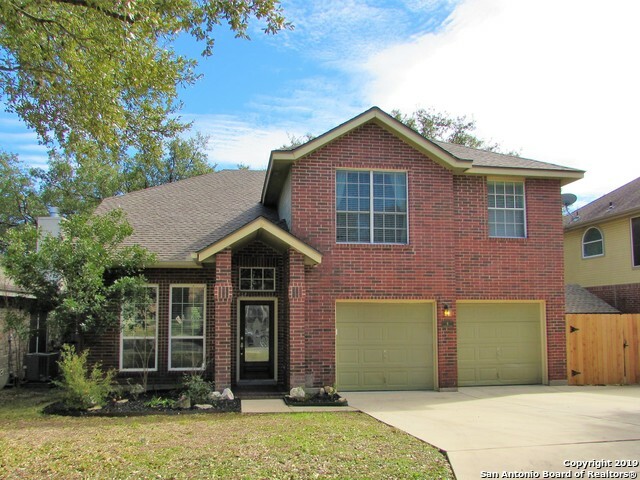 All ENCLAVE homes currently listed for sale in San Antonio as of 04/24/2019 are shown below. You can change the search criteria at any time by pressing the 'Change Search' button below. "WOW! TRANQUIL, SECLUDED & PRIVATE NEIGHBORHOOD W ONLY 31 GEMS! THIS ONE HAS BEAUTIFUL CUSTOM FLAIR IN ALL CATEGORIES! OPEN ARCHITECTURAL DESIGN INCLUDING A REGAL KITCHEN W TONS OF EMBELLISHMENTS, MULTI USE LOFT SPACE & TONS OF NATURAL LIGHT THROUGHOUT! GRANITE BATHS, VERY SPACIOUS BEDROOMS, W THE MSTR FEATURING COFFERED CEILING, LG WALK-IN WINDOWED CLOSET, GARDEN TUB & DUAL SHOWER HEADS! THE OUTDOOR OASIS HAS A LG CUSTOM DECK W BUILT-IN SVC ISLAND, DRINK BAR, SWING, & OPEN TO PARK-LIKE SETTING! "